This necklace is a beautiful combination of dapped circle blanks and balled headpins . 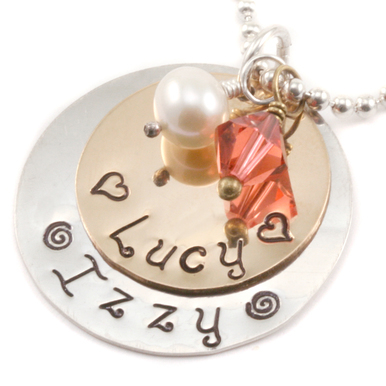 Don't you love how all the individual pieces come together to create one detailed pendant? We think it looks like a collection of tiny bells, or a cluster of pods found in nature. 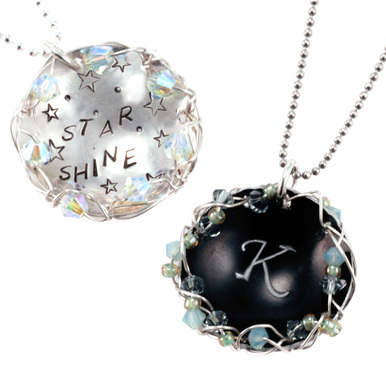 You will be very adept at dapping after making this necklace. Punch holes in all of the blanks before dapping. 22g Silver Filled, Round, Dead Soft Wire - 1/2 oz (~18 ft) - $18.62 - We threaded all our wire wrapped, dapped circle domes onto a piece of wire, and then wire wrapped this wire to our chain.